Join Us for ASAN’s 2015 Regional Food & Farm Forums! 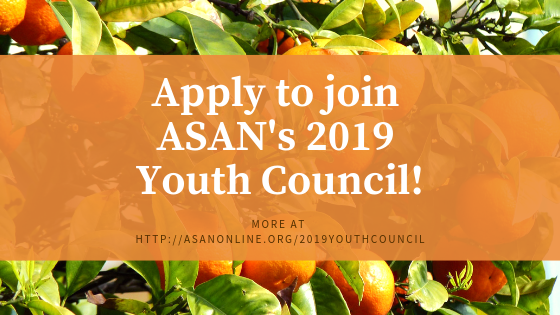 Home/Events, Food & Farm Forum/Join Us for ASAN’s 2015 Regional Food & Farm Forums! T he 2015 Regional Food & Farm Forums will convene farmers, gardeners, community leaders, and good food advocates to “cross-pollinate” and learn from one another. 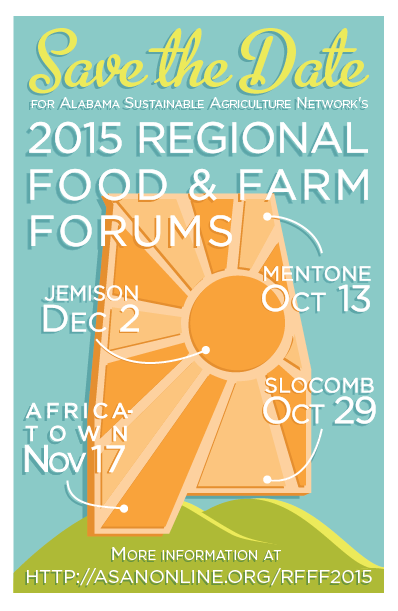 The dates and locations for the 2015 Regional Food & Farm Forums series are as follows. Don’t miss these fantastic events! And be sure to keep an eye on this page for more updates as the events approach! Each event is planned in response to the particular needs and interests of the host communities, but will consist of: a wide variety of expert-facilitated roundtable discussions; experiential learning opportunities like farm tours and mini-workshops; exhibits and resource tables; and of course, a delicious, locally sourced meal. 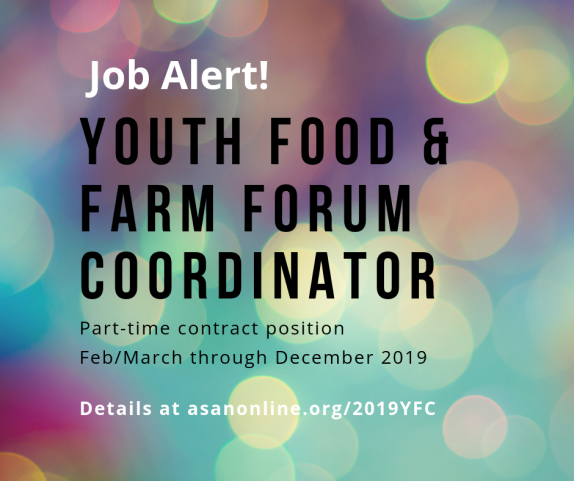 Topics covered range from those specific to on-farm production, to intersecting issues such as environmental justice, community economic wellbeing, and more. The Regional Food & Farm Forums are open and accessible to those with all levels of experience. 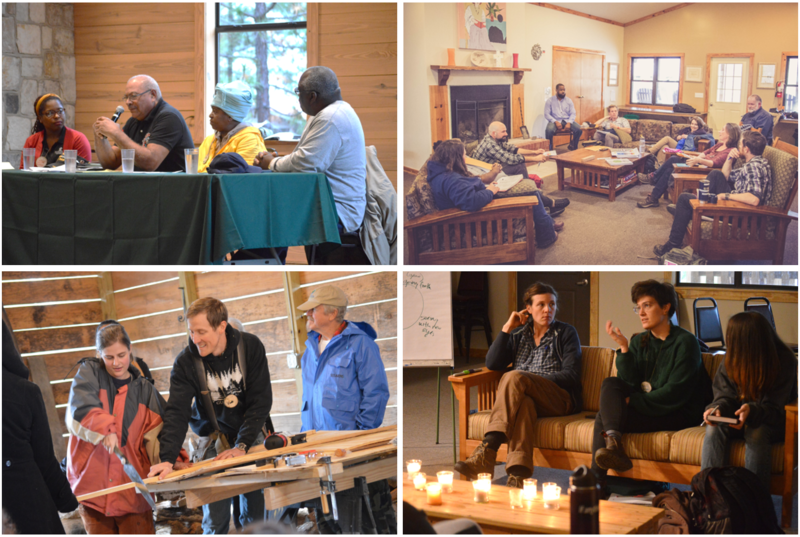 All activities foster participatory learning and community-building across our network, sowing the seeds for collaborative partnerships that will continue to grow after the event has ended. This event wouldn’t be possible without the generous support of our sponsors — please show them some love! Click logos to visit sponsors’ websites.